Welcome to my new site everybody!!! This has been in the works for a long time, and I am so happy to be able to share it with you! Please take time to have a look around and I hope that you find this site a wonderful resource for you. Please have patience this week as everything gets finished and tweaked! Also- stay tuned for more great news tomorrow! 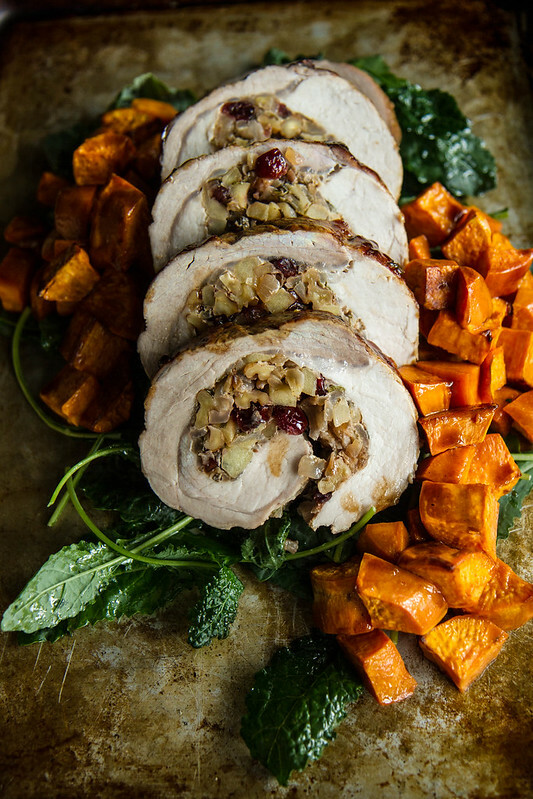 In celebration of this awesome event, I have teamed up with WOLF GOURMET to bring you this gorgeous Bourbon Apple Cider Glazed Stuffed Roasted Pork Loin and Sweet Potatoes. Also, a HUGE over the top awesome giveaway!!!! I cooked this dish in one of their brand new Countertop Convection Ovens and I couldn’t believe it. It cooked so easily, so evenly, so efficiently, and without mess. And it produced a perfectly cooked, juicy and delicious roast pork loin that was restaurant quality. And now, I get to give one to one of you!! ($500 value!) Gahhhh! That makes me so happy. To enter, all you have to do is leave a comment (one per person please) below, telling me what you would like to see here on the site moving forward. More cocktails? More desserts? More gluten free desserts? More salads, or soups or Vegan dishes or quinoa salads or anything with bacon? Just let me know what kind of recipes you would like to see here, because this is all about you! The winner will be chosen at random. Please make sure that you use your correct current email address (that you actually check every day!) with your comment so that I can reach you. You need to respond within 24 hours or I will pick a new winner. This contest will be over on Wednesday November 18th, 2015 at 9am PT, and I will announce the winner here immediately and then email the winner. I am afraid this is open to US residents only. THIS CONTEST IS NOW CLOSED! THE WINNER IS COMMENT #6: Christine 24.97.241.242 Submitted on 2015/11/16 at 5:11 am I’m not so sure I want you to change anything, thou the new site is classy! …but don’t change your system, I love that you give me such a variety, meat dishes, desserts, cocktails, salads, even your tablescapes!!! I still make recipes you posted years ago, adding each year to my favorites…And todays stuffed pork loin is another one I am going to make and maybe it too will end up as another of my families favorites…Thank you! Congratulations Christine- email me!!! Now, onto the food!! As we get into the chilly autumn and winter months, this is the perfect recipe. This dish is a celebration of the best flavors and ingredients of the season all rolled into one gorgeous plate. 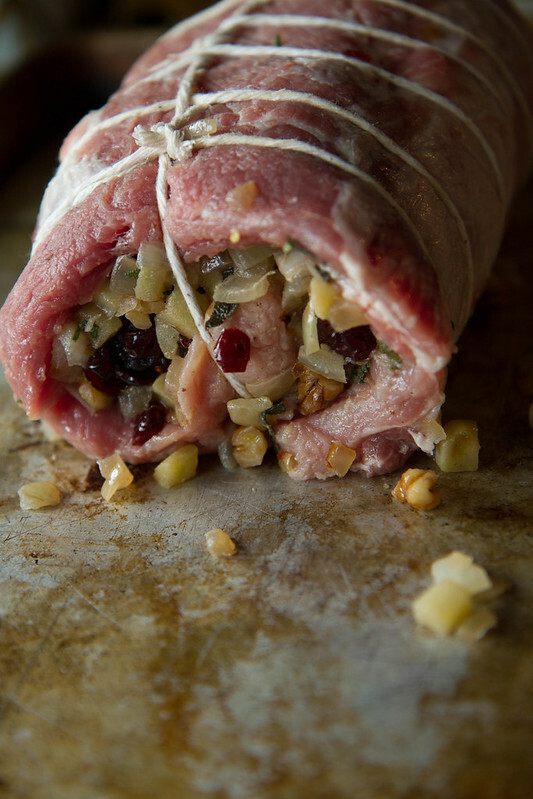 The stuffing in the pork is an incredibly festive and complimentary blend of sauteed onion, apple, walnut, cranberries and sage which pairs magically with the roast pork. The glaze, a heady and fragrant blend of spiced apple cider and bourbon which makes a luscious sauce great for basting and then for simmering into a thickened silky glaze for drizzling over the pork and roasted sweet potatoes when you serve the dish. Besides the amazing flavors and ingredients is the versatility of this dish. It takes about 30 minutes to prepare everything and then you are really pretty hands off for the cooking time which makes this recipe great for a decadent weeknight meal or an easy special occasion meal. In our house we loved this so much that I am going to make it for Christmas Dinner! *An added perk is that this dish happens to be gluten, dairy, egg and soy free so if you have any friends or family with food allergies you are hosting this Holiday season this dish is a perfect fit! Preheat the countertop oven to 375F on the Roast setting. In a heavy skillet over high heat add the olive oil. Add the onion and sprinkle with kosher salt. Sauté for 3 minutes. Add the apple and sauté for 2 to 3 minutes more and then add the walnuts and cook another minute. 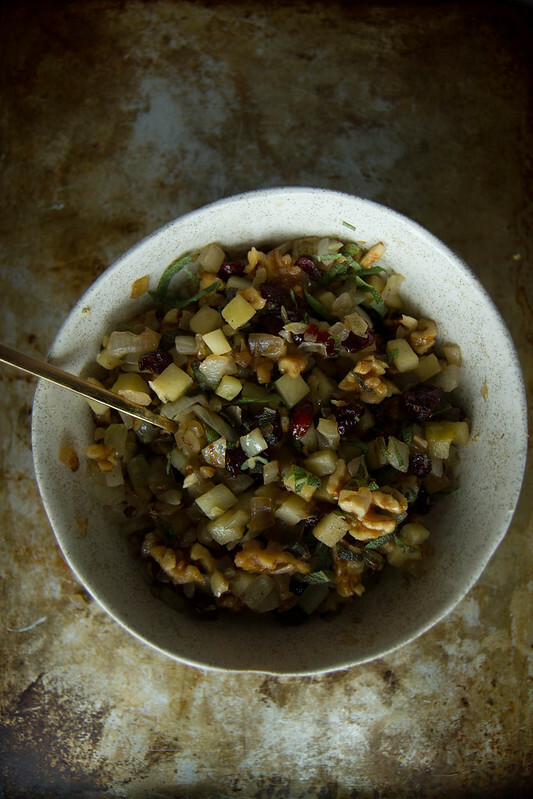 Transfer the stuffing to a bowl and add the cranberries and sage. Mix well, season to taste with kosher salt and set aside. 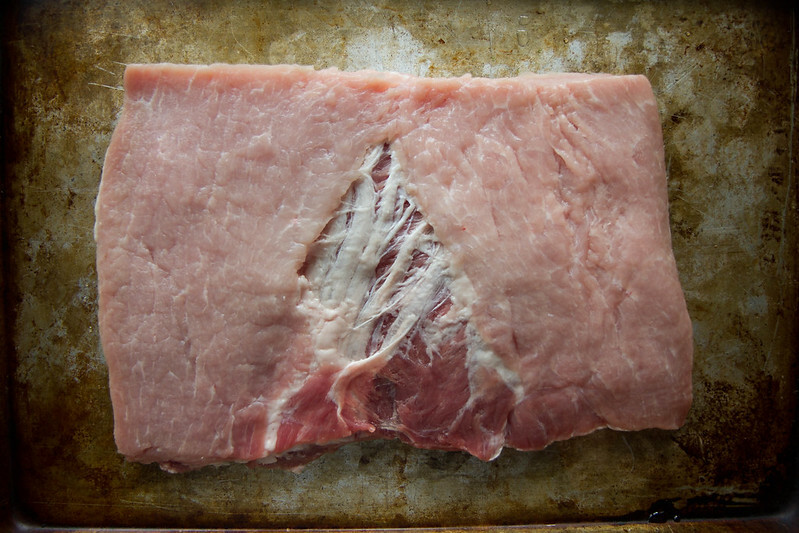 Lay out the pork loin on a cutting board and slice ¾ of the way through horizontally. Pull the pork loin apart so it is flat and cover it with a large sheet of plastic wrap. Use a meat tenderizer to pound the pork into a larger flatter rectangle. Discard the plastic wrap and sprinkle the pork loin liberally with kosher salt. Cover the pork loin in an even layer of the stuffing. Use the same skillet you used for the stuffing, add the olive oil over high heat. Rub the pork loin generously with kosher salt. When the skillet is smoking add the pork loin and sear on every side until browned. Leave the skillet on the stove and transfer the pork loin to the roasting rack and then add the bourbon and the apple cider to the skillet. Let cook for a few minutes and then pour the mixture over the pork loin- it will drip to the bottom of the pan. Toss the sweet potatoes with the 3 tablespoons of olive oil and sprinkle with kosher salt on the sheet pan. 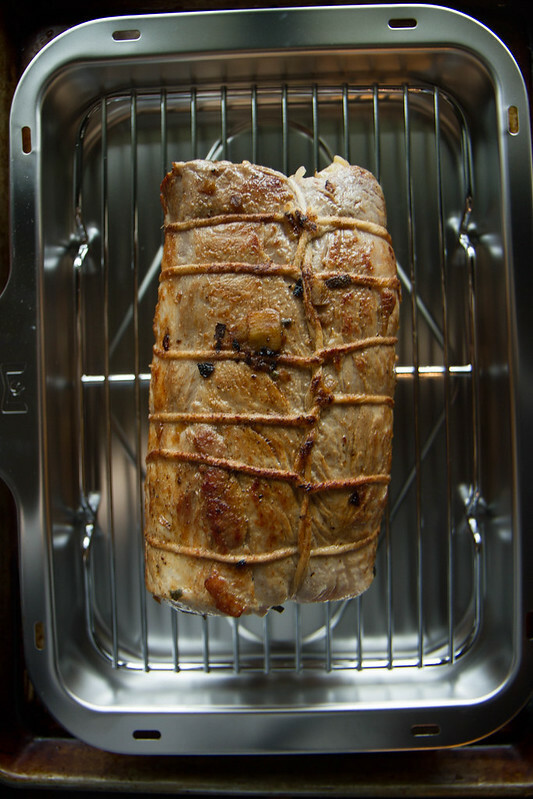 Place the pork loin in the oven on the top rack and roast for 40 minutes. At the 40 minute mark, baste the pork with the glaze in the bottom of the pan. Place the sheet pan with the sweet potatoes on the bottom rack. Roast for another 20 minutes and then use the probe to check the temperature on the pork. When the internal temperature reaches 145F remove the roasting pan from the oven and transfer the roast to a cutting board. Set the sweet potatoes aside. Put a piece of foil over the roast to keep it warm while it rests. Strain the drippings in the bottom of the roasting pan into the skillet. Cook the glaze over high heat for a few minutes until it is thickened. Generously brush the pork loin with the glaze and then carefully slice with a sharp knife into one-inch thick pieces. Serve with Roasted Sweet Potatoes. For the full recipe, please go to the Wolf Gourmet Blog. I’d love to see more soup recipes for the winter and guilt free desserts for when I get snowed in! There is a good balance in all the recipes categories, I think…..but if I had to pick….maybe more soup recipes! Love trying new soup recipes this time of year! I love your site redesign especially the font for your header. I always love your cocktail and salad creations. You put together the most unique combo of seasonal ingredients to make yummy salads. So more cocktails and salads! I also love the way you categorize by diet. Good luck with your redesign! I love the new site, very classy! 🙂 I would love to see more seafood/salmon recipes! I cant wait to make this stuffed pork…yumo! I’m not so sure I want you to change anything, thou the new site is classy! …but don’t change your system, I love that you give me such a variety, meat dishes, desserts, cocktails, salads, even your tablescapes!!! 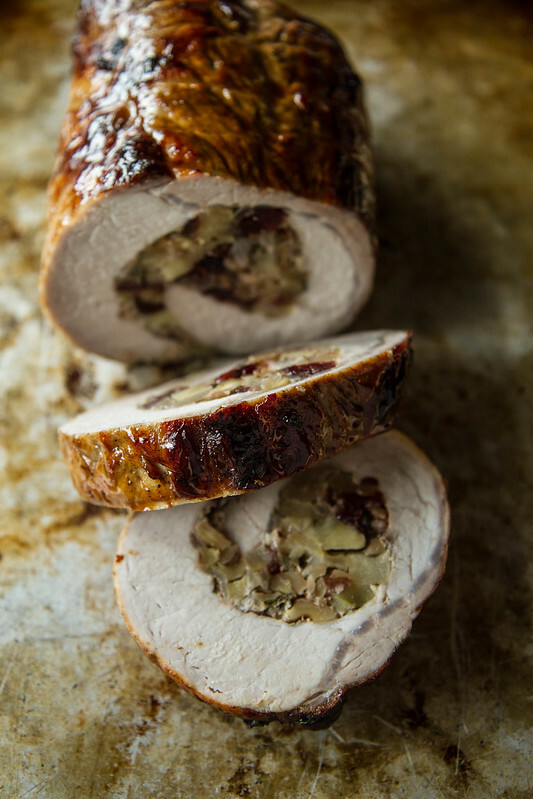 I still make recipes you posted years ago, adding each year to my favorites…And todays stuffed pork loin is another one I am going to make and maybe it too will end up as another of my families favorites…Thank you! First, let me say that your site is beautiful! Love the gorgeous photos and the detailed instructions for your recipes. I would love more soup recipes. Due to allergies and food sensitivities, we are a Gluten Free and Dairy Free family. My kiddos are finally enjoying soup, so I would love to add more variety to our recipe rotation! Love the new site! Congrats!! I’d love to see more recipes like this to make for the holidays. Love meat and anything with bacon. Thank you Heather! Heather, your new site is wonderful and the photography and food presentation is beautiful. I would like to see recipes compatible with the Paleo diet. First of all, this recipes looks amazing and I would love to be able to cook in a new WOLF counter top convection oven!! Just saying ! I love the variety you offer and categorize them by diet. It has been extremely helpful in trying to feed a lactose intolerant and another who is gluten free in the family. I myself am a breast cancer survivor and always looking for healthy recipes. I try to find dairy free, gluten free, soy free and low sugar all in one recipe! More of those! Love your site, love your recipes! Wow looks amazing. Can you please do more baked goods on your site? Ah, total change! Wonderful Heather! Let’s see more vegan goodies or breakfasts! Heather! Your new site is so sleek, I love it! Congratulations! I use your site for easy gluten-free, dairy-free and also family friendly meals so more of those are always a welcome! Love he new site, Heather! So clean and easy to navigate! Hmm, I want more cocktails!! I would love to see kid friendly, simple items. Wears just starting on this journey with a lot of “can’t haves” and need super simple ideas! Love the new site Heather!!!! This recipe is absolutely gorgeous too! Happy Monday to you! I’d love to see more fusion recipes — food from different cultures are my favorite to cook! Just found your site. FABULOUS! I’ve tried two recipes, and both were amazing. Keep up the good work. The new format is beautiful. The more pictures the better! I’d like to see more seasonal meat recipes. This recipe with sides was perfect, everything for a complete meal. I actually quite like your blog and its content as is! But my favorite part are the salads and veggie dishes you post because the combinations are often innovative and presentation so colorful and beautiful, so I’m looking forward to that! I would love to see more salmon recipes – I have tried 2 of yours (Cherry glazed and salmon in parchment) and LOVED them both! November 16, 2015 at 9:16 am	 Joanna H.
I would love to see some more desserts. Your new site is absolutely gorgeous Heather! I use your recipes almost daily for inspiration and to provide my friends with delicious & healthy offerings. I especially look forward to your Paleo, Vegan & vegetarian recipes to share on my business page, as I focus on nourishing bodies with real food… You are my go-to for them all… Keep it up please!!!! November 16, 2015 at 10:01 am	 Stephanie G.
LOVE your new site! I would like to see more side dishes and soup recipes. Thanks Heather, amazing job. Love your new site look! You have a good mix of recipes and we enjoy your weekly cocktail drinks! Possibly more soup and crockpot recipes for the winter season. So many great recipes on here already 🙂 I would love to see more easy weeknight meals, maybe one pot meals like you’re creamy pumpkin penne, so delicious! I love when you post a party that you have done with table settings, decorating , and recipes! Heather, I really love your new site. During this fall and winter season, I would love to see more soup and salad recipes. More delicious GF baked goods. Breads or desserts. With so many holiday parties, I hate not being able to eat so many desserts or breads. Yummy lunch ideas. Like more quinoa or any other type of salad. Well, I would never say no to more cocktails! It’s a gorgeous new site, Heather, congrats! 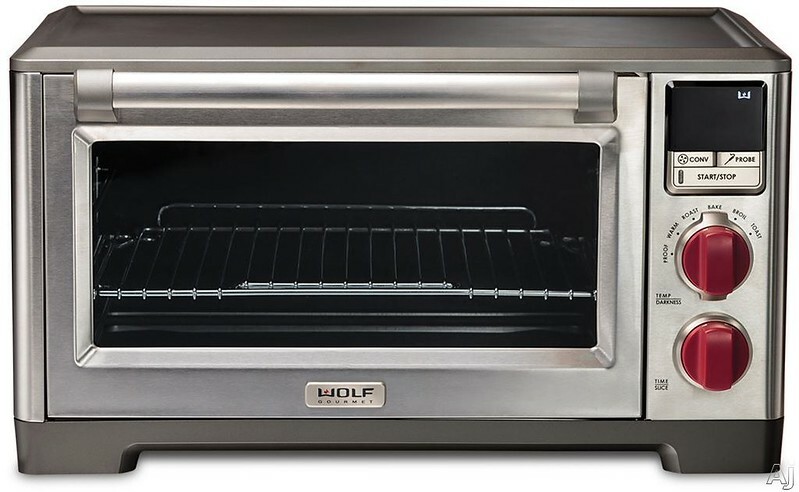 And I would love to win the Wolf convection oven, that goes without saying! First, I love the new site, it’s gorgeous!! I am so happy for you. I am always looking for simple but delicious appetizers. That pork loin is gorgeous, and that oven is a thing of beauty. I can always use a cocktail or two, so that’s my vote. Heather, the new design is GORGEOUS!!! You are such an inspiration. 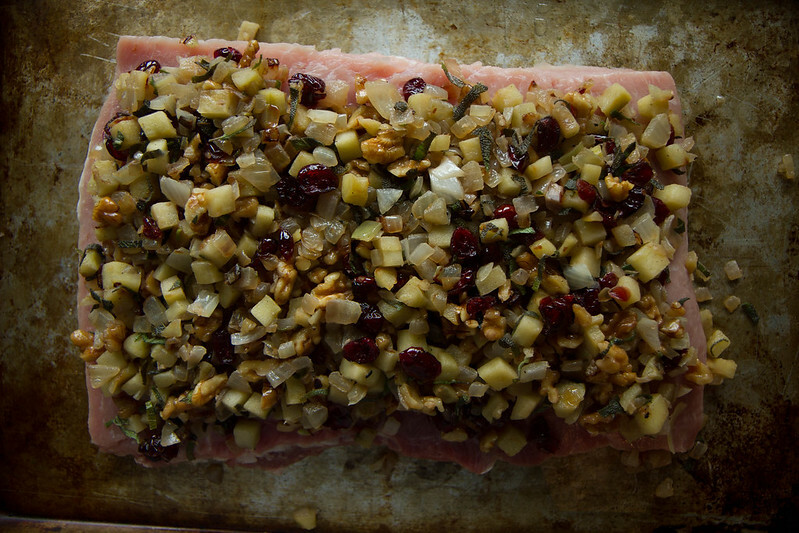 Seriously, thank you for all your amazing content – like this pork loin. All my favorite flavors rolled into one. GAH!! November 16, 2015 at 1:04 pm	 Kristen D.
Love to see more seasonal produce items- that aren’t pasta! The new site looks great! I am a big fan of soups and salads and yours are always great. Also love the drinks. I would like to see some family pictures included on the site. What an absolutely gorgeous pork loin, Heather! You have such a way with color (and flavors too, of course). I’m definitely entering your giveaway, just moving into a new house this week. 🙂 I would love to see more of your beautiful salads — congrats on the lovely redesign! Breakfast always stumps me. Especially weekday recipes when everyone is running out the door! Thanks for the chance to win! Would luv quick simple few ingredient recipes for busy families..Thx love the new site! This is truly a work of art; it looks so good I think I can almost pick up the scent too! Love your new site Heather; great job showcasing your beautiful food. I always love soup and cocktail recipes! GORGEOUS new site, Heather!! Everything looks so clean and organized. I’d love to see more protein rich snack/appetizer recipes that are peanut/tree nut free. Beautiful new site! I would love to see more desserts made with no gluten, dairy or sugar (including honey, maple syrup etc). Thanks, love your recipes and voice. November 16, 2015 at 4:09 pm	 Candice C.
I would love to see more fall/winter desserts. My gastroenterologist wants me to cut back on red meat (gasp! ), so I’m looking for inspiration for FLEX meals – things that will satisfy my carnivore hubs but let me go veg or vegan with little modification, but still feel more satiated than just starch plus veggies minus the meat. Love the new site! I’d love to see more vegan recipes/replacements for non-vegan items! I would love to see more “old-fashioned” recipes that have been given a healthy update! I love how you ‘dress up’ food like this! I can’t think of a single thing. I love the variety of recipes you post. Keep up the great work! I am allergic to dairy, so more dairy free recipes that aren’t vegan would be great! I love your recipes! I would love to see easy, quick weeknight recipes for two. I would love to win the oven to make it even easier! Gorgeous presentation and those Fall colors are amazing! Love your recipes! I would love to see easy weeknight recipes for two, and win the oven to make it even easier! Your new website is amazing! The pictures somehow look even prettier than before. Congratulations! I’m sure it was a lot of work. I’ve enjoyed your recipes for at least a couple of years! I hope you continue to post the nice variety of food, drinks and desserts! Thank you very much! Looking forward to your new cookbook!!! Your pictures are so beautiful and every recipe I’ve tried has been FOOLPROOF. That said, I’m actually vegan so of course I gravitate towards those recipes, but if it only needs a little modification, I’ll use any recipe! (Obviously I’m not sure how I would “modify” a Pork Loin, but you get the general idea…). THANK YOU, I love your recipes so much!! I just want to say thank you for all your hard work making my life easier! You’re such an inventive and great cook and your recipes are so well written. I would like to see more of your weeknight meals. Ones that can cook off in the oven after prepping or are just not so multi pot, dish intensive. Like your Greek chicken and potatoes! I have no food allergies but it doesn’t matter because your meals have such great flavors! I love all your recipes!! I cook from them all the time. I love your vegetarian mains specifically ones I can get my kids to eat! More soups, seafood recipes, salads – quinoa salad variations. Congrats! Enhiy your “real life” comments. Would love more tips on entertaining around a theme …. Decor, appetizers, signature cocktails. A feast for the eyes!!! What is like to see more of is meatless meals one of my wonderful children has recently expressed she is not to fond of meat … Any! Love, love, love the new look. Can’t wait to try the pork loin recipe! We especially love your gluten-free, dairy-free, egg-free, recipes. Thank you for helping us keep our meals delicious! It liked having a picture of the recipe when I print it! There wasn’t one with this stuffed pork loin. Otherwise looks great! I would love to see some Holiday (Thanksgiving, Hanukkah, Christmas, & New Year’s) recipes. It would be nice to have tapas type food with drinks. I would like to see your suggestion of having more gluten-free recipes. While I don’t get directly related health problems, I do want to get the gluten out of my diet to help my gut microbiome. You could also add a section for fermentation of dairy, veggies, etc. ; which items are very good for you. I would love to see more vegetarian and vegan recipes. My 4-year old likes to proclaim she’s a vegetarian (often while eating chicken or meatballs!) but I’m a vegetarian, and love cooking delicious meat-free meals and healthy treats for both my girls. I can always use more tips and recipes, especially for budget-friendly and time-saving recipes! I love your blog! Thanks so much and happy holidays! November 17, 2015 at 8:52 am	 Janet M.
I am always looking for more gluten-free options and yours are never-fail! Looks absolutely delicious!! I love everything already but I would deff love to see more healthy snacks!! Thank you for the amazing chance!! November 17, 2015 at 9:42 am	 Jennifer L.
Love it all but the idea of more cocktails is appealing!! BTW, can’t wait to try this dish!! I am always looking for gluten free and egg free recipes so I like that you feature these. My son loves cheesecake and I am hoping to find a wonderful egg free version. Love your site! I would love to see some recipes with less sugar and more alternatives used as well as more vegan/gluten-free recipes. Things that as parents we can feel good about giving our kids and yet know that they are absolutely delicious as well. More vegetable recipe ideas for kids. Heather – The new website looks fabulous and really showcases your awesome photography. I would love to see more vegetarian salads that I can make on the weekend and bring to work during the week! I love your new site. This pork recipe looks so good. I love your salads and soups and of course all those yummy pizzas. Really like your sight and your photos are gorgeous. Love your hearty salads with lots of veggies! I’d love to see more hearty vegan main dishes. Or it would be really cool if you revisited some of your other recipes and gave them new recipe pairings. I make your lebanese french fries often, but would love to see what you would serve them alongside! November 17, 2015 at 7:17 pm	 Amy C.
I’m all about the desserts and I also like seeing soup recipes. Thanks! 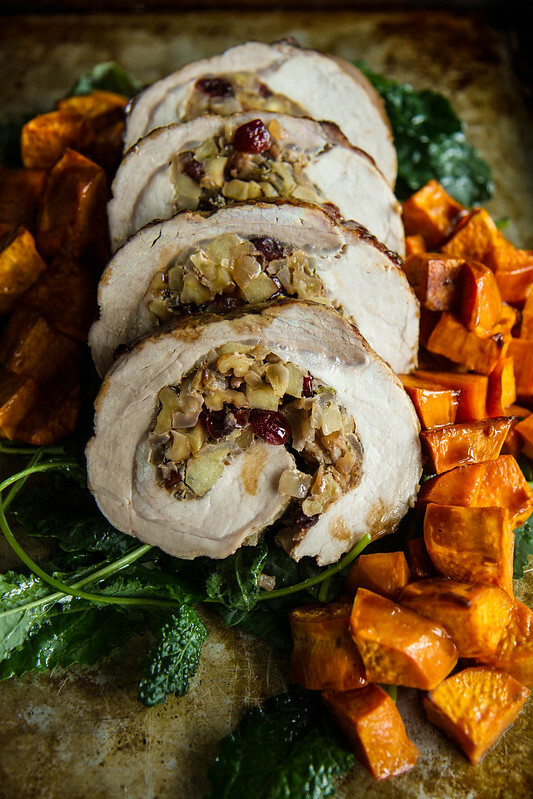 November 17, 2015 at 7:48 pm	 Chris B.
Oh my the pork loin looks amazing! I would love more salad recipes! i would always love to see more desserts, but i also love seeing quick dinners! I have loved every recipe of yours that I’ve tried! I feel that your content is pretty balanced between different food and beverage categories. Perhaps you could branch out a little more into different types of ethnic cuisine. I’ve really enjoyed your recipes that have an ethnic flair to them. A post on what recipes you continually make would be interesting to me! As far as more recipes go – I always like main course soups. I’d like to see more cocktail recipes. I’m loving the season and the season calls for cocktails. So glad I stumbled upon your site via Pinterest ! Just beautiful! I’d love to see more elegant main dishes for entertaining ..
I’d love to see more healthy and delicious breakfast recipes. Every recipe I’ve made thus far has been a winner! Thank you! us into your beautiful, creative, yum yum world of food and cooking! Is it possible to have a larger font? Congrats on your new and improved site! Love, love your recipes! My fave so far is the banh mi tacos. Have made over a handful of times. Would love to see more soups, only because it’s that time of year! LOVE this recipe & congrats on your gorgeous new site!! I would love to see more gluten free and diabetic dishes. 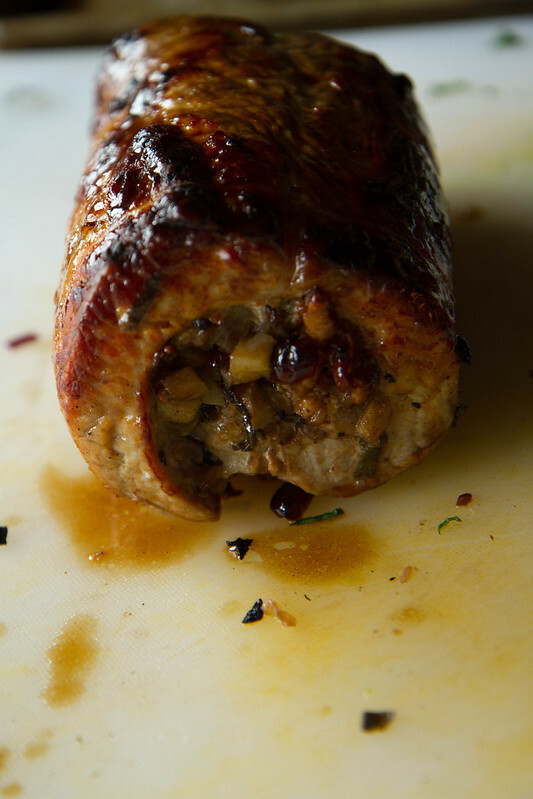 Toggled over from another site to see how to make your stuffed Pork Roast. Having recently retired, I am busy pinning and printing recipes and putting in binders for future cooking/menu planning. I am browsing through your site and see a lot of recipes I want to tackle! I am a sucker for soups….any kind, and love different twists on old time favorites. I love all of your recipes, but keep the gluten free and Asian inspired meals coming! Wow the stuffed pork loin looks absolutely perfect ! I would also like to see more yummy soups . Love this dish. Not very complicated but easy to do and make. I know this was a while back but it’s all new to me including the site. The visuals is just stunning with a big “S”. Will have to make this soon. You definitely inspire me with your artistic cooking and presentation style. Vegan recipes ALWAYS make me happy! And your salads are my FAVORITE! In April of this year, I was diagnosed with severe allergies. I can honestly say that I was sick as a sick dog and didn’t think that I was going to make it through the winter of 2015-into 2016. 6 months of pure hell. Now I understand. Everything traditional Drs would say was healthy, was killing me. I am now learning a new way to live. THANK YOU FROM MY GRATEFUL HEART for the beautifully written and illustrated book that I found and carry with me from the couch, to the kitchen, my bedroom, as I’ve read it in bed with tea…..thank you ever so much. I’d like to see you continue doing just this. Bringing REAL food recipes (with the pretty photos) and more video clips with you cooking with your little ones!!!! Thank you for giving me my zest for cooking back. I feel alive for the first time in a long time. Thank you again, Heather!!!! I come from a long line of excellent cooks, my maternal Nonna was the head baker and pastry head at GIMBEL’S in downtown Milwaukee Wisconsin for many years. My paternal Nonna, came to America as a young girl from Italy(Italian with Albanian roots) with her parents. Her Mamma died at only 35 yrs of age, so she was raised by a step mom, along with her siblings. They were quite poor so they ate whatever they raised or butchered. I think that some of my digestion issues were hereditary. The paternal side all suffered from stomach issues. Thank you for the wonderful contest!!!! I love your neat kitchen!!!! The pot filler!!!!! This week I’m making the pumpkin pasta!!!!! A GRATEFUL MOM. WIFE. NONNA.